Last week, Laneige a giant beauty brand all the from Korea has hitting Malaysia which is one of the seven cities around Asia that they tour as part of their LANEIGE Beauty Road Tour. 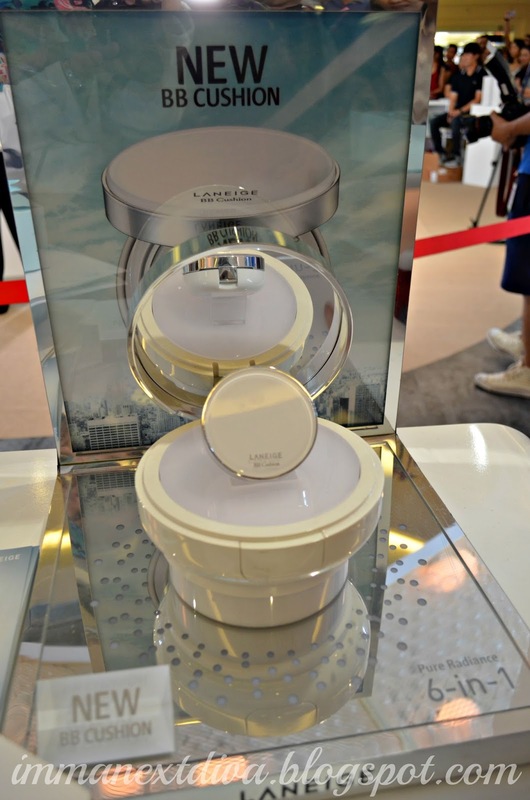 The mission for LANEIGE Beauty Road Tour is to educate women about the BB cushion makeup trend as well as the K-Beauty which a major hit in Korea.The Beauty Road Tour also featured the bestseller product, the BB Cushion. If you don't know already the BB Cushion trends has started since 2011 until today because of the multifunctional use and easy to touch up anywhere and everywhere and anytime. BB Cushion also is a must have makeup item in Korea. Talking about flawless skin and convenient though. So I was lucky enough to be invited by The Butterfly Project Malaysia to attend the event which was held at the North Court in Mid Valley. I'm telling you the event was very happening and it was filled with various of activities like the BB Cushion testing stations, free giveaways (not to mentioned using the drone to send the freebies. talking bout giveaway to the next level. I managed to get 2 freebies. #DETERMINED), fun games and more. There was a special appearance by Laneige International Beauty Ambassador, Korean Supermodel Hwang Si-Un. 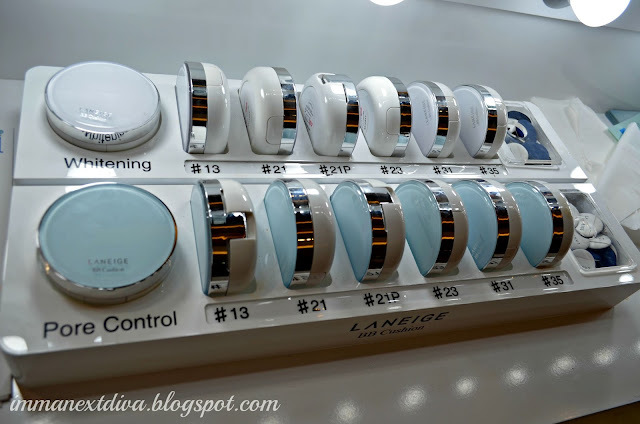 She shares how the Laneige's BB Cushion helped her to look fresh and ready during the tour and her everyday hectic life style. Some of her secrets was she always has the Laneige's BB Cushion and drink plenty of water especially in the summer season. Look at that long legs and her healthy glowing skin. There are two types of BB Cushions to choose from. Will put more details on each types for my next review. Oh yeah a group picture with my fellow butterfly sisters,Mieza, Anis and Ayue. 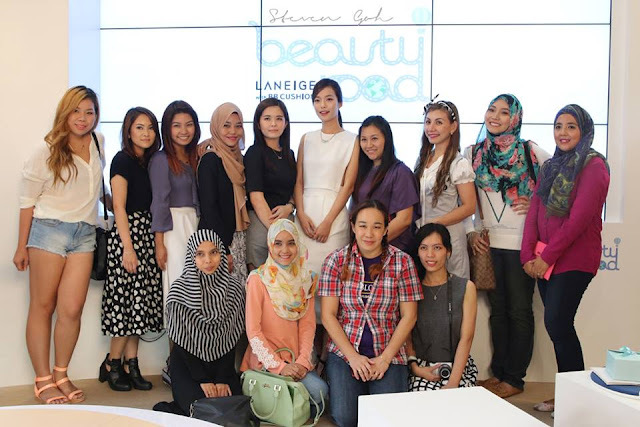 There wasalso a makeup session where the makeup artist of Laneige's flew all the from Korea to share the Korean's top makeup trends and tips on how to get flawless skin with the BB Cushion with live demonstration. The makeup artist suggested the Pore Control BB Cushion for the hot and humid weather like here in Malaysia because it contains the sebum control powder to control oil and shine, it has a cooling effect as well as SPF50++ to protect the skin. I also managed to recorded an awesome tips for the popular K-Pop eyebrow trend on my camera. Aren't you excited to try out the new BB Cushion with 6-in-1 Multi Benefits? I tried it for almost 2 weeks and I'm telling you it has quickly become one of my favorites. Wait for my next blog post for review. 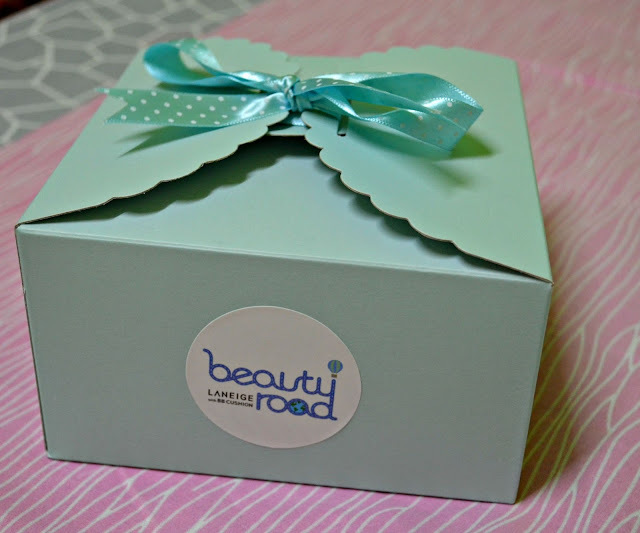 I will do an unboxing and review on each product that we received in the beauty road box.